Infective endocarditis (IE) is a disease characterized by high morbidity and mortality despite tremendous improvements in medical and surgical management during the last few decades. IE complicated by aortic root abscess remains one of the largest clinical and surgical challenges. Patients presenting with complete aortic root destruction and involvement of the intervalvular fibrous body (IFB) and mitral valve are particularly challenging, requiring extensive reconstruction of the left ventricular outflow tract (LVOT) and IFB. 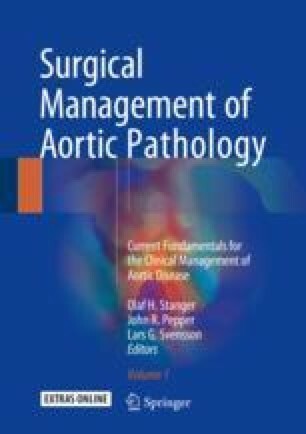 In this chapter, the surgical management of aortic root abscess focusing on the principles and strategies of LVOT reconstruction is discussed.